The Groundfish Forum is a trade association that currently represents 5 trawl companies that fish for flatfish such as rock sole, yellowfin sole, flathead sole, as well as Atka mackerel, Pacific Ocean Perch and Pacific cod in the Bering Sea, Aleutian Islands, and Gulf of Alaska. These companies own the majority of the H&G vessels in the North Pacific. These vessels range from 105 to 295 feet in length and due to their size, they only perform heading and eviscerating of fish, instead of processing fillets or surimi. The Groundfish Forum knows solutions needed to be effective, while maintaining the efficiency and economic margins of their industry to the greatest degree possible. 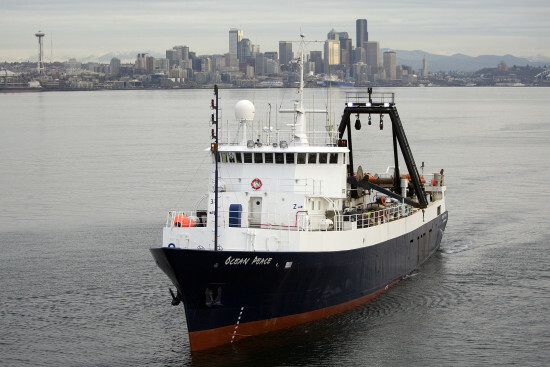 Groundfish Forum’s mission is to inform state and local government officials of the contributions made by the H&G fleet to the economies of Alaska and the Pacific Northwest. It has been critical that officials in the Pacific Northwest, especially Alaska, recognize the magnitude of the economic impact generated by their industry to also understand the potential loss of jobs, revenue, and the ripple effects on service and public sectors if forces controlling the fishery management system continue to promulgate regulations that needlessly attack their sector. Groundfish Forum has also recognized the importance of resource conservation and continues to keep an open approach to working with regulators, government officials, and the public in order to keep their industry economically viable in the years to come.